Todays charges are notable for their breadth," says SEC's enforcement chief. UBS ATS is among the nation's largest alternative trading systems. 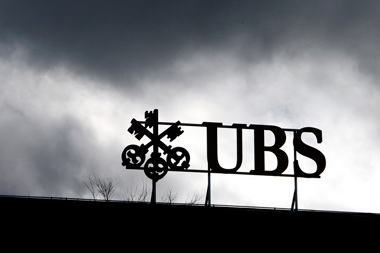 UBS Securities LLC agreed Thursday to pay more than $14.4 million to the Securities and Exchange Commission to settle charges related to disclosure failures and other securities law violations regarding the operation and marketing of its dark pool. UBS Securities must pay a $12 million penalty — the SEC’s largest against an alternative trading system (ATS)—as well as $2.2 million in disgorgement and $235,686.14 in prejudgment interest. Thursday’s penalty charges that UBS’s dark pool “violated anti-fraud provisions of the securities laws by pitching a suspect order type almost exclusively to HFT and market-makers,” Ceresney said on the call. The order type, called PrimaryPegPlus (PPP), enabled certain subscribers to buy and sell securities by placing orders priced in increments of less than one cent. “However, UBS was prohibited under Regulation NMS from accepting orders at those prices. By doing so the firm enabled users of the PPP order type to place sub-penny-priced orders that jumped ahead of other orders submitted at legal, whole-penny prices,” Ceresney said. As the SEC explains, dark pools are essentially private trading systems in which participants can transact their trades without displaying quotations to the public. The largest dark pools are sponsored by securities firms primarily to execute the orders of their customers and proprietary orders of the firms. SEC Chairwoman Mary Jo White said in a speech last June that the percentage of trading volume executed in “dark venues increased from approximately 25% in 2009 to approximately 35% today.” Former SEC Chairwoman Mary Schapiro tried to ”shed greater light” on dark pools by proposing a regulation in 2009, but it failed to pass. The SEC is set to propose soon stricter dark pool regulations, according to Bloomberg. UBS ATS, Ceresney continued, “is among the nation’s largest ATS’s, and today’s action identifies a number of significant violations” in addition to the fraud charges.